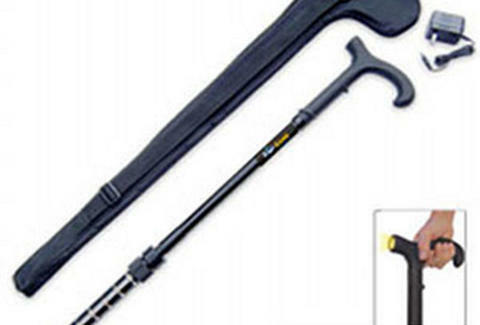 Be crippled yet completely dangerous with this sneaky-awesome walking stick, which releases a million-volt charge (!!!) when the tip is pressed against any assailant. The sucker's rechargeable, supports up to 250 lbs of weight, and is equipped at the handle with an ultra bright LED flashlight, so you can light your mugger up, before lighting him up.